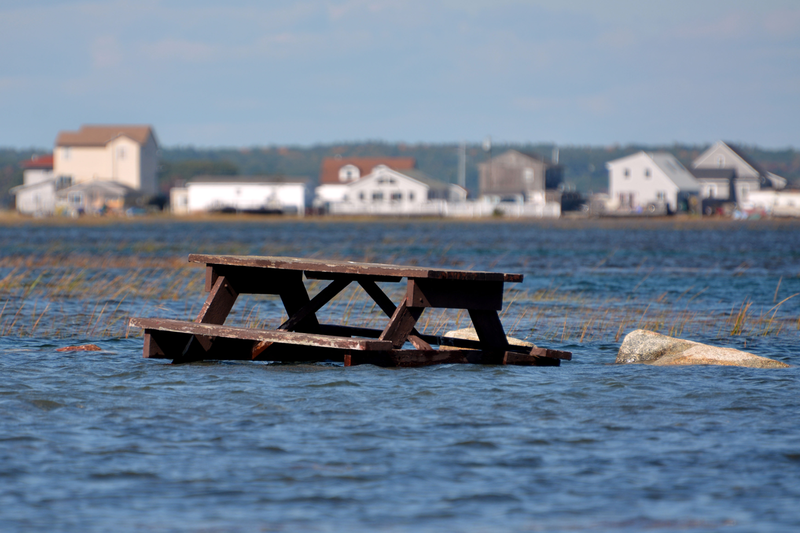 The Gulf of Maine King Tides Project helps communities in the Northeastern US and Atlantic Canada anticipate impacts from rising sea levels. Join in this international volunteer effort to document—via cameras and smart phones—extreme high tides, which will become average water levels in coming years. King Tides images help scientists and planners assess future flood risks and anticipate associated hazards. The Gulf of Maine is a unique sea within a sea, one of the world’s most dynamic and productive marine ecosystems. Cold ocean waters nourish curving shores, deep basins and shallow banks that were crafted by glaciers. A breathtaking array of marine life and birds—at least 3,300 species—depend on the Gulf. Coastal marshes and estuaries serve as nurseries for young fish, crabs, shrimp, and shellfish. Abundant microbes and plankton form the base of a food web that extends up to seals, sharks and whales. King tides refer to the highest tides that occur over the course of a year when the gravitational pull of the sun and moon reinforce each other. These tides, also known as perigean spring tides, occur when the moon is closest to the Earth. Learn more about tides and tide cycles. King tides aren’t part of climate change; they are a natural part of tidal cycles but they offer a sneak preview of what higher sea levels could look like. The actual height reached by a king tide will depend on the local weather and ocean conditions on the day. It is possible that by 2060 we could experience tides of the magnitude of king tide events every month due to sea-level rise induced by climate change. Learn more about sea level rise. To read about the highest astronomical tides along the coast of Maine and how these are mapped, go to http://www.maine.gov/dacf/mgs/explore/marine/sites/dec14.pdf. To enter the annual Gulf of Maine King Tides Photo Contest, click on this site’s “Add Your Photos” page. To submit photos throughout the year for statewide mapping in Maine, New Hampshire and Massachusetts, go to http://mycoast.org/. Anecdata, an online citizen science portal, also has a King Tides Project where citizens can contribute photos.